Category: Exotic Adventures, Tuareg Berber. Tags: 28mm, foot, skirmish, Tuareg Berber. This pack depicts Tuareg Berbers in their tradition costumes – the blue men of the dessert. They are armed with the Jezail musket, early models were smooth bore weapons, but later on they had their barrels rifled. The rifling, combined with the barrel’s long length, made these weapons very accurate for their time. 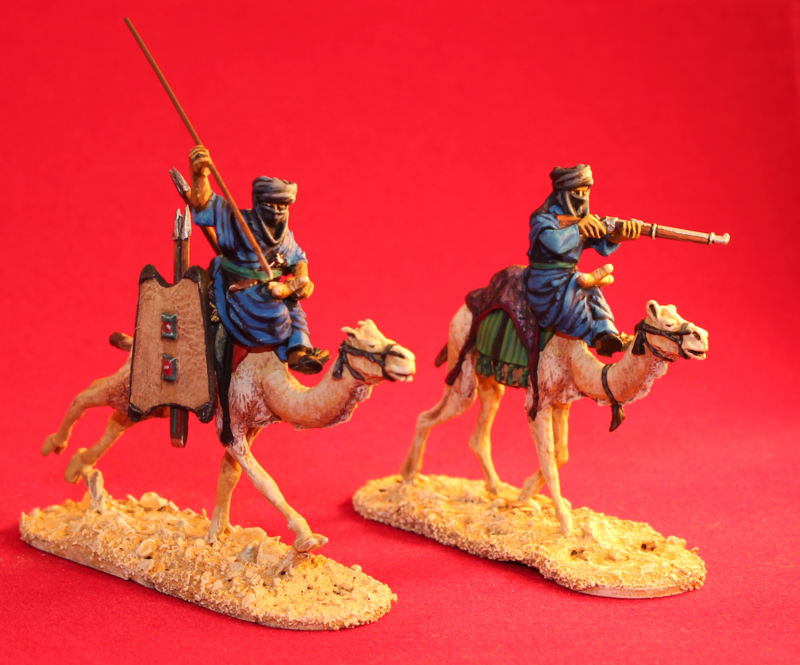 Pack contains 4 unique figures, 28mm Tuareg miniatures (1/56 scale), cast in white metal and supplied unpainted.